VanAir Design and Lynden Door together collaborated on a line of innovative interior doors to create a door that does more than separate spaces. Leveraging Lynden Door's leadership in manufacturing and VanAir Design's patented and award-winning design, the VanAir Vented Door provides ventilation without sacrificing visual and acoustic privacy. Our vented doors enable cross ventilation between enclosed spaces to balance and alleviate temperature and pressure build up. Improve the circulation within your home without compromising aesthetics or sound privacy. Common home appliances like clothes dryers or bathroom fans require make-up air as part of building code. Our vented doors are perfect for these applications to help prevent high humidity and condensation. If your home uses a Heat Recovery Ventilator (HRV), our vented doors will ensure that your air supplies connect with your returns even when doors are closed. Whether you are looking for improved circulation or need to ventilate a room, the VanAir door’s iconic ventilation slot is unobtrusive and does not compromise surrounding design elements when compared to conventional vents, grilles and ductwork. It also eliminates the need to undercut doors, which decreases sound privacy within your home. Kits Glass (Kitsilano Stained Glass Ltd.) is named after one of Vancouver B.C.’s most popular waterfront areas (Kitsilano Beach). Founded in 1981, Kits Glass initially produced custom decorative glass for the commercial, residential and ecclesiastical markets in the Vancouver area. As it became known for its high quality products and reliable service, its market spread throughout North America and into Europe and Asia. With over 35 years of experience, Kits Glass is proud to be one of the premier full service custom and production glass suppliers in the industry today, serving both the homeowner, and manufacturer. Whether it is a one off custom piece for the homeowner, or a proprietary line for the manufacturer, we can design, manufacture and deliver it. Our products include but are not limited to: - Stained, Beleved, and Sandblasted Glass. - Wrought Iron - Blinds between glass. - Sealed units. We also do commercial and Ecclesiastical Glass. Our impressive portfolio includes Toronto's Skydome and Bata Shoe Museum, Vancouver's International Airport (The Great Wave Wall), Robson Courthouse, and The Christ Church Cathedral, Victoria's Fairmont Empress Hotel (The Palm Court's Stained Glass Dome), and Mission's Westminster Abbey among others. With two manufacturing locations with a combined 80,000 square feet of space, design and CAD services, Kits Glass can produce virtually anything conceivable. If you can imagine it, Kits Glass can create it. MINIMAL Glass + Door produces and distributes contemporary thermally broken aluminum and custom fibreglass windows and doors. We specialize in monumental operable wall assemblies and energy efficient fibreglass windows. Whether you are looking to blend your indoor/outdoor living space, open your master suite to your balcony or extend your entertaining space, VUE Doors practically add another room to your home. Designed and manufactured in Canada, VUE Doors are made specifically to fit your project. Quality doors mean that all you have to focus on is relaxing in your new space. Stella works with glazing contractors across North America. For product info, inquiries and quotes, have your local glazing contractor get in touch with our VUE Doors team! From compromising your homes security to increasing heating and cooling costs, an improperly installed or damaged door can cost you. Exterior doors, such as front doors, need to be tough against the elements but easy on the eyes; interior doors need to blend in with your existing aesthetic, but also function well for each room they are selected for. Needless to say, door decisions can be daunting; luckily, door dealers and installers in Nanaimo, BC can help you select, design and install doors that are perfect for your home! What kind of services do Nanaimo door dealers provide? Door dealers are responsible for a variety of services, including door installation, replacement, door repair and custom door design. If you need a new door, Nanaimo, BC door dealers will help you determine what kind you need, as well as shape, color, size and more. From barn doors to French doors to front doors, these professionals can help you choose, install and maintain your door investments. Wood doors are beautiful, versatile and tend to be the most popular choice for both interior and exterior doors; they are easy to custom build, and include oak, cherry, walnut, mahogany, maple, fir and pine. Some standard wood doors have MDF cores wrapped in wood veneers, which minimizes the chances of warping as real wood expands when wet and contracts when dry. If your heart is set on a wood door but you think the Nanaimo, BC climate might cause it to warp, talk to your door professional about a furniture-grade veneered door. Aluminum doors have an insulated core and come in a variety of colors and finishes. With a baked-on enamel finish, they won’t rust or need repainting, and many come with a 20-year warranty. Next to wood they are the most expensive and have to be custom-made. A Nanaimo, BC door dealer can help you find a reputable aluminum door manufacturer. Find door dealers and installers in Nanaimo, BC on Houzz. 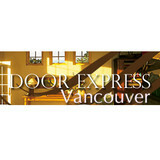 Look in the Professionals section of our website and search for Nanaimo, BC door dealers and installers. Read reviews, look at project photos and see how a pro can help with your home improvement project.